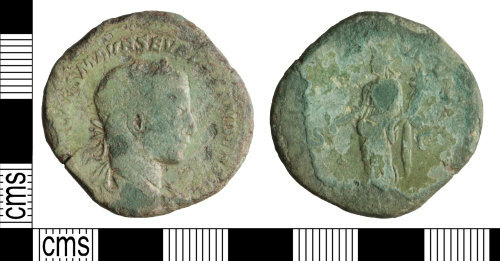 A copper alloy Roman sestertius of Severus Alexander dating to c.AD 222 - 235 (Reece Period 11). The reverse type is MONETA AVGVSTI S-C depicting Moneta holding scales and cornucopia. Mint of Rome.